• Choose the Shape & Cutting style as u like (Round, Cushion, Oval, Rectangular, Marquise etc.). • Is the Gemstone Natural or Synthetic (Man-made). Imitation of every gemstone is available in market. So, Be Careful & Be Sure. • If the Gemstone is Treated or Untreated. Gemstones are treated to enhance their outer appearance/beauty ie Color, Clarity/Transparency or both. Only Natural Untreated Gemstones give astrological Benefits. • Only a qualified Gemologist knows the permissible level of inclusions in a Gemstone for astrological results. So, Consult a Gemologist before buying a Gemstone. 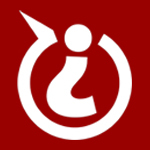 • Is the Price Worth its Quality (i.e. Color, Clarity, Cut, Carat, Luster & Finish). • Pricing of Gemstones is a matter of comparison of their quality. So, our Gem Experts carefully grade Gemstones on all quality parameters & price them accordingly. • Durability of Gemstone (Hardness, Toughness, Thermal Stability & Chemical Stability). • Appropriate Stone setting that protects the Gemstone and looks good too. Methods to clean the Gemstone & after care. • Always ask for Authentication Report of the Gemstone form a reputed Gemological Laboratory when you buy any Gemstone. • Shubh Gems deals in 100 % Pure, Natural & Untreated Gemstones. All Gemstones are certified from reputed Gem Testing Laboratory. • Wear properly activated & fully energized Gemstones for best astrological results. Why Consult a Gemologist before buying a Gemstone ? Gemology (also Gemmology) is the scientific study of Gemstones. Gemology deals with their Formation, Origin, Sources, Properties & Identification. Gemology is a branch of mineralogy as most of the gemstones are minerals. Gemologist is a skilled professional who is qualified to identify, grade and evaluate the gemstones. There are few hundred varieties of Gemstones available and each variety of Gemstone comes in various Qualities. Hence, it becomes crucial to accurately evaluate the gemstones as per their quality. In addition to this, it is important to find out whether the gemstone is Natural or Synthetic (Man-made), Treated or untreated. Today, every stone can be created artificially. So, in the current scenario, imitation of every natural gemstone is available in the market & many of the natural gemstones are treated to enhance their outear appearance/beauty. These treated gemstones look better & of high quality compared to their natural counterparts. Such treated stones are priced much higher than their actual price and sold as 100% natural stones. Only a qualified Gemologist is trained enough to identify Gemstones and also detect such Treatments. Shubh Gems has team of Professional Gemologists who select best of Natural Untreated Gemstones direct from mines. Therefore it is advisable to consult a Gemologist before buying Gemstones. Only a Gemologist knows the permissible level of inclusions in a good astrological gemstone. One should always buy laboratory certified Gemstones. 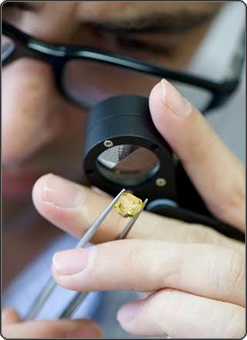 Trusted Gemological Laboratories follow international standards and provide unbiased & reliable Reports of Gemstones. Such Labs are bound to disclose treatments (if any). Shubh Gems has technical collaboration with GJI (Gemological & Jewellery Institute), India. You can visit www.gemcraft.in to know more about GJI. Shubh Gems sells only certified natural gemstones. 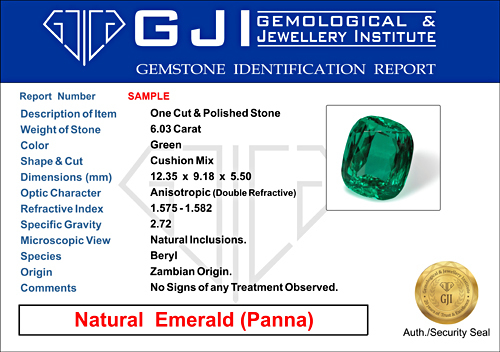 All gemstones are pre-certified by GJI. GJI is a trusted name for 15 years in Gemstone Testing & Certification services. GJI has a reputation to provide unbiased and reliable Report of gemstones. Always ask for Laboratory Report when you buy a Gemstone.